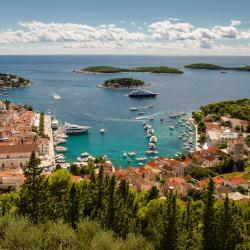 Looking for hotels near St. Stephen's Square in Hvar? Apartments Antonia provides accommodation with a garden and free WiFi. All units are air-conditioned and feature a seating area, a flat-screen TV and a fully equipped kitchen with a dining area. 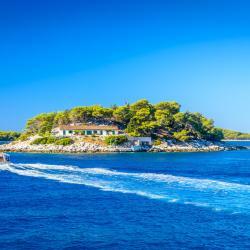 Offering air-conditioned rooms with free Wi-Fi on a quiet location in Hvar, Barko Rooms is within 150 metres from the nearest beach and 300 metres from town centre. 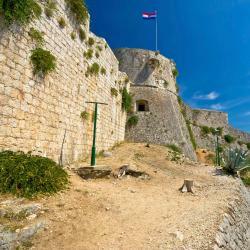 Featuring air conditioning, Apartmani Antonia offers accommodation in Hvar. Stipanska Beach is 2.1 km away. There is also a kitchen, fitted with a toaster. Towels and bed linen are provided. Look also for the small market existing in this square. Look also for the small market existing in this square. You can buy fresh fruits, cheese or traditional products directly from locals.There is also a bakery you can buy sandwiches, yoghurt and different pastries.